Pete, can you tell me how you first started playing music? When and how did you discover you wanted to become a musician and how did it go from there? It was a bizarre thing; I was just walking past a drum shop and I thought, I'll have a drum lesson, for no readily explainable reason. I went in and it made sense to me in a way that other things in my life hadn't before. I was aged 19 and was soon a drummer in a punk rock band. practice. Then, the more rules and regulations one learns the harder it can become to think 'out of the box' and interpret rather than replicate. That was the main challenge. 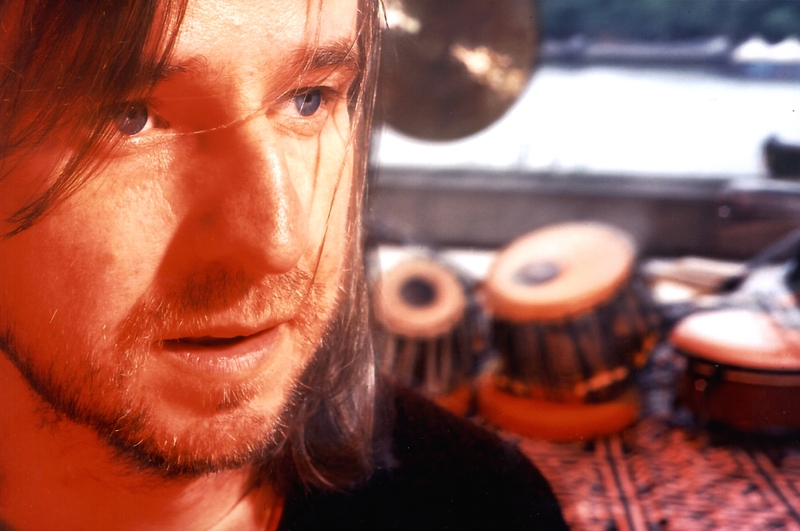 You have quite an amazing number of different drums you play with a high degree of technical and musical skill. How do you approach practicing and learning new instruments? Do you have specific concepts or systems you use? The creative process is the most important part of the thing for me. outside of the avenues you are used to working in. from all over the world, from the dense packed urban capitals of the world out into the villages deep in the deserts of Rajasthan and Sudan. One thing that is striking about those two extremes is how important music is to both environments. It shows how deep and primal the passion is and when we understand this and stop thinking about being technically equipped, famous or overly rewarded we can see it in a clearer focus. Once we have this focus we can understand more deeply what it is we want to do with the instrument and this will be what guides our developmental procedures towards a more rounded articulation. For me I choose to only practice at home when I really want to pick the drum up and play. I do not want some sort of guilt factor driving my music. philosophising above came after years and years of deep obsession and grinding practice!! Is there a basic difference for you between playing drumset and handdrums? Would you say those are two completely different things or two parts of the same? I love both but I find hand percussion much more lyrical and dynamic. 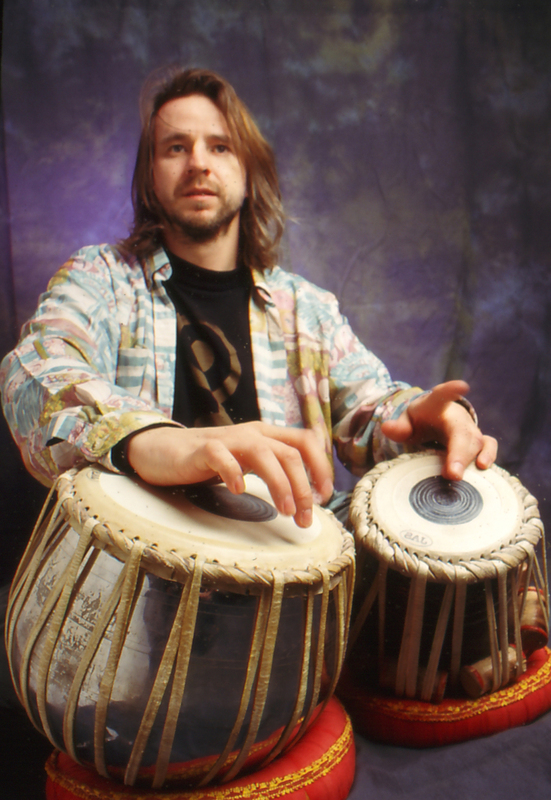 Take the Tabla for example, with the wide tonal range and depth of glissando expression with the bass tabla. It is a staggeringly complete instrument. Instruments such as Kanjira and Req amaze with their incredible possibilities bearing in mind their simplicity. It is a marvellous thing to be involved with. I think the way drum kit has developed over the last thirty or forty years it has grown away from percussion. on percussion items were part of the kit, now in many settings it has become much a more formal five pieces with cymbals and stands. It makes it harder to see a link between the two. I really wish there were more players who had a more open mind regarding their drum kit set up and added percussion and other stuff to spice it up. What are the differences for you between working in the studio and playing live on stage? Ten times out of ten live work is the spiritual life blood of the musician, me included. You get the direct feedback from the audience and can really get absorbed in the moment. With studio work it can be a little more analytical. Everything is to a click nowadays which is fine but leads to a more considered approach to every single note. Both have their pros and cons and are rewarding in different ways but for me, the vibe of performing is really a highlight in my life. You seem to have a big passion for sharing your art, on your website there are many free lessons and music samples. What is your motivation for this? I found it very hard to source information when I started out. One of the main hindrances of my early years was that people simply did not want to share stuff. gigs. I had very little money, ate simply and ground the stone. about that side of it. 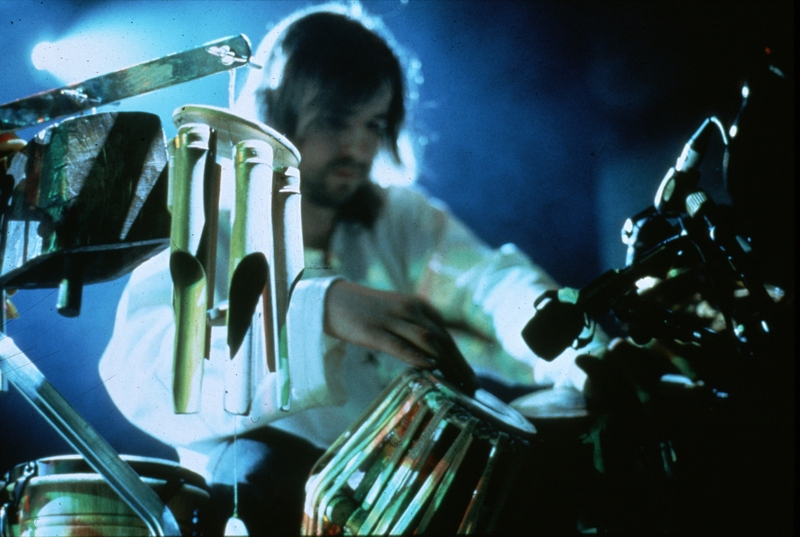 I also wish there were more multi percussionsts embracing a wide range of instruments. Maybe in a decade or so the will be an uprising!! I would further add that this is not a judgement upon people who sell lessons online. This is my own personal choice. You have to be patient, determined, dedicated, persistent, hard working. Positive and every other quality that pushes you forward with energy. It is also important to be logical and realistic. You are not going to learn Tabla in a day or manage to learn Tabla, Darabouka, Frame drums, Req and Bongos all at the same time. work, work, work, work, work and work!!! Get into all aspects of music making you can, from electronics and programming through to the acoustic and physical side of your playing. Never give up, don't be down on yourself ever and always believe! Without the belief it will be a much harder road. What is the one thing you wish someone had told you before you got into the music business? That I would never get on with my neighbours!! No, seriously. I started from absolutely nowhere so I had no rose tinted spectacles about it. I moved to London with no money and knew no one in the city. I didn't need a warning to alert me to the fact that it was going to be a nightmare for a number of years! That is a very hard question. The more mics and the more sensitive the drums the bigger the problem. sometimes they don't. They still need to be told! If you are not happy then just continue pressing for the sound you want. However, also bear in mind it can sound totally 100% different out front than it does on stage! It is a tricky river to navigate. I expect a less than perfect monitor sound onstage and hope to be pleasantly surprised. This is a more positive expectation! One thing I do sometimes request in difficult and / or 'dry' sound spaces is to get an extra bit of reverb in the monitors. It makes the space feel bigger and more live and always boosts the level very slightly. If the engineer has not got a good sound this can sometimes make it more bearable. Feedback is an unpredictable monster. After many years of being a professional musician, you still seem to have a lot of enthusiasm and fun in what you are doing. What do you do not to lose these things? It goes back to the philosophy thing I was mentioning earlier. I would say that philosophy is worth at least 60% importance in everything I do. It comes back down to the passionate impulse humans have to make music. In the villages in Rajasthan when I was there last year I saw a passion and love of playing music so deep and meaningful. These guys were often farmers or labourers and had no 'ulterior motives' in the music making process. It was inseparably part of their culture born from their community. We have lost 'community' in the west and therefore culture has become an 'abstract' Art and music are an add-on, luxury, entertainment, a commodity. We need to remember from where the river flows and what we are as people. Then we can truly reflect not only on the music we make but also the music making process. What does it mean to you when you pick a drum up and play? So, to summarise, I just F^&%ing LOVE it!!!! Is it difficult for you to balance touring and working as a musician with your personal life? Luckily I have enough coming in to be able to turn down stuff I dont want to do. do and not get sidetracked with other stuff. This also includes my schedules so if I have been away a lot I just schedule in studio stuff for a month. gives important time to my wife and home life. It is really important to not neglect these things and limit how much time you are away. I love being at home with the Mrs, relaxing, cooking. Also I love messing about with photoshop and video editing on the computer, a bit of Cricket on the telly, iPad app distractions and a good film at home with the wife and a bottle of red wine! Some years ago, when Myspace was big, you told me about it and helped me set up my own page there. Your excitement about its possibilities for networking and sharing of music actually was the thing that got me into it. What role does the internet play for you today in a musician's life and career? I think nowadays it is expected that everyone is hooked up on myspace, FB, Twtr etc. I think it has got a bit much though. Do I really need to let people know I have just got off the bus or seen a poodle with big ears! That's getting way too self indulgent for my liking. However, it does have a big role to play to keep people up to date on the important things you need to share. I like to at least stay up to speed on this side of things without it becoming an obsessive hindrance. backgrounds, do you have something like a favourite project or projects? What is going on in your career right now and what should the readers check out? I know you have had a recent book and CD release. Maybe you can start with those? see how they were built into the larger compositions and themes. interest in five years. The whole development of the book came from the education method so it is kind of organic in that way. It never started out to be a book, but it ended up being one! Earlier this year I released my new solo album 'About time'. Much of what I do live is densely layered unison stuff so I wanted to do an album of purely acoustic solos on individual instruments in lots of different time signatures. A lot of the rhythm constructs are 'Indian' inspired and weave around a simple accompanying bell or shaker pattern. Also I continue to be busy in India. Seven album releases in seven years over there and two more come out this year. A compilation entitled 'Rhythm King' comes out on Quest world in a July and an album with Pandit Shankar Ghosh and musicians of Kolkatta comes out late summer. Then I have an album with Airto and musicians of India which is being finished off at Airtos studio as I write. Pete, thanks a lot for your time and in general for all the energy you put into practicing, promoting and teaching the art of percussion. 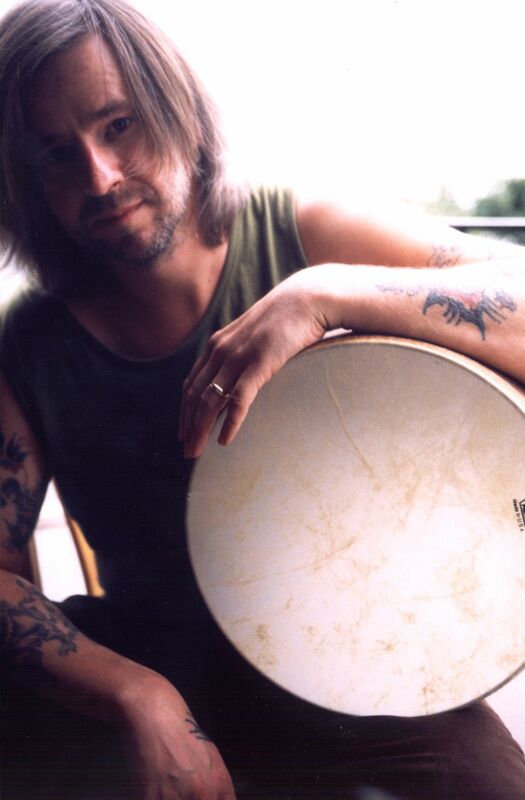 Check out Pete's website www.petelockett.com for videos, audios, and free percussion lessons.